This article is about the military vehicle. For the civilian vehicle brand, see Hummer. A U.S. Army HMMWV in Saladin Province, Iraq in March 2006. The High Mobility Multipurpose Wheeled Vehicle (HMMWV), commonly known as the Humvee, is a four-wheel drive military automobile produced by AM General. It has largely supplanted the roles originally performed by the original jeep, and older Military light utility vehicles such as the Vietnam-era M151 1⁄4-short-ton (230 kg) MUTT, the M561 "Gama Goat", their M718A1 and M792 ambulance versions, the CUCV, and other light trucks. Primarily used by the United States military, it is also used by numerous other countries and organizations and even in civilian adaptations. The Humvee's widespread use in the Persian Gulf War, where it negotiated the treacherous desert sand with ease, helped inspire the civilian Hummer automotive marque. Since the WWII era Willys MB, the United States Army had relied on Jeeps to transport small groups of soldiers. The jeep was built around a requirement for a compact vehicle with a folding windshield that was actually shorter than the Volkswagen Beetle. It had seats for a 3 man crew with a 660 lb (300 kg) payload and weighed just over one ton. By the 1970s, the U.S. Army had tried larger militarized civilian trucks, but even these no longer satisfied newer requirements. In 1977, Lamborghini developed the Cheetah model in an attempt to meet the Army contract specifications. In 1979, the U.S. Army drafted final specifications for a High Mobility Multipurpose Wheeled Vehicle, or HMMWV, which was to replace all the tactical vehicles in the 1/4 to 1 1/4-ton range, namely the M151 MUTT and M561 Gamma Goat, as one "jack-of-all-trades" light tactical vehicle to perform the role of several existing trucks. The specification called for excellent on and off-road performance, the ability to carry a large payload, and improved survivability against indirect fire. Compared to the Jeep, it was larger and had a much wider track, with a 16 in (410 mm) ground clearance, double that of most sport-utility vehicles. The new truck was to climb a 60 percent incline and traverse a 40 percent slope. The air intake was to be mounted flush on top of the right fender (or to be raised on a stovepipe to roof level to ford 5 ft (1.5 m) of water) and electronics waterproofed to drive through 2.5 ft (0.76 m) of water were specified. The radiator was to be mounted high, sloping over the engine on a forward-hinged hood. Out of 61 companies that showed interest, only three submitted prototypes. In July 1979, AM General (a subsidiary of American Motors Corporation) began preliminary design work. Less than a year later, the first prototype was in testing; Chrysler Defense and Teledyne Continental also produced competing designs. In June 1981, the Army awarded AM General a contract for development of several more prototype vehicles to be delivered to the government for another series of tests. The original M998 A0 series had a curb weight of 5,200 lb (2,400 kg). with a payload of 2,500 lb (1,100 kg), with a 6.2 L (380 cu in) V-8 diesel engine and a three-speed automatic transmission. The three companies were chosen to design and build eleven HMMWV prototypes, which covered over 600,000 miles in trials which included off-road courses in desert and arctic conditions. AM General was awarded an initial contract in 1983 for 2,334 vehicles, the first batch of a five-year contract that would see 55,000 vehicles delivered to the U.S. military, including 39,000 for the Army; 72,000 vehicles had been delivered to U.S. and foreign customers by the 1991 Gulf War, and 100,000 were delivered by the Humvee's 10th anniversary in 1995. Ft. Lewis Washington and the 9th Infantry Division was the testing unit to employ HMMWV in the new concept of a motorized division. Yakima Training Center; Yakima, Washington was the main testing grounds for HMMWVs from 1985 through December 1991, when the motorized concept was abandoned and the division inactivated. HMMWVs first saw combat in Operation Just Cause, the U.S. invasion of Panama in 1989. The HMMWV was designed primarily for personnel and light cargo transport behind front lines, not as a front line fighting vehicle. Like the previous Jeep, the basic HMMWV has no armor or protection against chemical, biological, radiological or nuclear threats. Nevertheless, losses were relatively low in conventional operations, such as the Gulf War. Vehicles and crews suffered considerable damage and losses during the Battle of Mogadishu due to the nature of the urban engagement; however, the chassis survivability allowed the majority of those crews to return to safety, though the HMMWV was never designed to offer protection against intense small arms fire, much less machine guns and rocket-propelled grenades. However, with the rise of asymmetric warfare and low intensity conflicts, the HMMWV was pressed into service in urban combat roles for which it was not originally intended. After Somalia, the military recognized a need for a more protected HMMWV and AM General developed the M1114, an armored HMMWV to withstand small arms fire. The M1114 has been in limited production since 1996, seeing limited use in the Balkans before deployment to the Middle East. This design is superior to the M998 with a larger, more powerful turbocharged engine, air conditioning, and a strengthened suspension system. More importantly, it boasts a fully armored passenger area protected by hardened steel and bullet-resistant glass. With the increase in direct attacks and guerrilla warfare in Iraq, AM General diverted the majority of its manufacturing power to producing these vehicles. Humvees were sent into Afghanistan following the 9/11 terrorist attacks, where they proved invaluable during initial operations. In the early years before IEDs became prevalent, the vehicle was liked by troops for its ability to access rough, mountainous terrain. Some soldiers would remove features from Humvees, including what little armor it had and sometimes even entire doors, to make them lighter and more maneuverable for off-road conditions and to increase visibility. With the onset of the Iraq War, Humvees proved very vulnerable to IEDs; in the first four months of 2006, 67 U.S. troops died in Humvees. To increase protection, the U.S. military hastily added-on armor kits to the vehicles. Although this somewhat improved survivability, bolting on armor made the Humvee an "ungainly beast," increasing weight and putting strain on the chassis, which lead to unreliability. Armored doors that weighed hundreds of pounds were difficult for troops to open and the newly armored turret made Humvees top heavy and increased the danger of rollovers. The U.S. Marine Corps decided to start replacing Humvees in combat with MRAPs in 2007, and the U.S. Army stated that the vehicle was "no longer feasible for combat" in 2012. The HMMWV has become the vehicular backbone of U.S. forces around the world. Over 10,000 HMMWVs were employed by coalition forces during the Iraq War. The Humvee has been described as "the right capability for its era" to provide payload mobility in protected areas, but that conflicts exposing it to full-spectrum threat environments that it was never designed to operate or be survivable in led to adding protection at the cost of mobility and payload. A U.S. Marine Corps M1123 HMMWV in 2004, equipped with a bolt-on MAK armor kit. At the Bridgeport, California Mountain Warfare Training Center in March 1997, a test HMMWV drives through the snow, equipped with Mattracks treads. In December 2004, Secretary of Defense Donald Rumsfeld came under criticism from U.S. troops and their families for not providing better-equipped HMMWVs. Rumsfeld pointed out that, prior to the war, armor kits were produced only in small numbers per year. As the role of American forces in Iraq changed from fighting the Iraqi Army to suppressing the guerrilla insurgency, more armor kits were being manufactured, though perhaps not as fast as production facilities were capable of bringing them online. Even more advanced kits were also being developed. However, while these kits are much more effective against all types of attacks, they weigh between 1,500 to 2,200 lb (680 to 1,000 kg) and have some of the same drawbacks as the improvised armor. Unlike similar-size civilian cargo and tow trucks, which typically have dual rear wheels to reduce sway, the HMMWV has single rear wheels due to its independent rear suspension coupled with the body design. The armor kits fielded include the Armor Survivability Kit (ASK), the FRAG 5, FRAG 6, as well as upgrade kits to the M1151. The ASK was the first fielded, in October 2003, adding about 1,000 pounds (450 kg) to the weight of the vehicle. Armor Holdings fielded an even lighter kit, adding only 750 pounds (340 kg) to the vehicle's weight. The Marine Armor Kit (MAK), fielded in January 2005, offers more protection than the M1114, but also increases weight. The FRAG 5 offered even more protection but was still inadequate to stop EFP attacks. The FRAG 6 kit is designed to do just that, however its increased protection adds over 1,000 lb (450 kg) the vehicle over the FRAG 5 kit, and the width is increased by 2 feet (61 cm). In addition, the doors may require a mechanical assist device to open and close. Another drawback of the up-armored HMMWVs occurs during an accident or attack, when the heavily armored doors tend to jam shut, trapping the troops inside. As a result, HMMWVs were fitted with hooks on their doors, so that another vehicle can rip the door off, freeing the troops inside. In addition, Vehicle Emergency Escape (VEE) windows, developed by BAE Systems, were fielded for use on the M1114 uparmored HMMWV, with 1,000 kits ordered. The soldier manning the exposed crew-served weapon on top of the vehicle is extremely vulnerable. In response, many HMMWVs have been fitted with basic gun shields or turrets, as was the case with M113 APCs after they were first deployed in Vietnam. The U.S. military is currently evaluating a new form of protection, developed by BAE Systems as well as systems designed by the Army, which are already in theater. The new gunner's seat is protected by 1.5 to 2 feet (46 to 61 cm) high steel plates with bullet-proof glass windows. Additionally, some HMMWVs have been fitted with a remotely operated CROWS weapon station, which slaves the machine gun to controls in the back seat so it can be fired without exposing the crew. The Boomerang anti-sniper system was also fielded by some HMMWVs in Iraq to immediately give troops the location of insurgents firing on them. Another weakness for the HMMWV has proven to be its size, which limited its deployment in Afghanistan because it is too wide for the smallest roads and too large for many forms of air transport compared to Jeep or Land Rover-sized vehicles (which are nearly two feet narrower). This size also limits the ability for the vehicle to be manhandled out of situations. The Army purchased a purpose-built armored car, the M1117 Armored Security Vehicle, in limited numbers for use by the United States Army Military Police Corps. In 2007, the Marine Corps announced an intention to replace all HMMWVs in Iraq with MRAPs due to high loss rates, and issued contracts for the purchase of several thousand of these vehicles, which include the International MaxxPro, the BAE OMC RG-31, the BAE RG-33 and Caiman, and the Force Protection Cougar, which were deployed primarily for mine clearing duties. Heavier models of infantry mobility vehicles (IMV) can also be used for patrol vehicles. The MaxxPro Line has been shown to have the highest rate of vehicle rollover accidents to its very high center of gravity and immense weight. The massive weight of these vehicles combined with their high center of gravity also greatly reduces their utility in off-road situations versus the HMMWV, which was the primary cause for the push for the Oshkosh M-ATV to be developed quickly. The Humvee replacement process, now being undertaken by the U.S. military, is focused on interim replacement with MRAPs and long-term replacement with the Joint Light Tactical Vehicle (JLTV). The HMMWV has evolved several times since its introduction, and is now used in tactical roles for which it was never originally intended. The military is pursuing several initiatives to replace it, both in the short and long terms. The short term replacement efforts utilize commercial off-the-shelf vehicles as part of the Mine Resistant Ambush Protected (MRAP) program. These vehicles are procured to replace Humvees in combat theaters. The long term replacement for the Humvee is the Joint Light Tactical Vehicle which is designed from the ground up. The Future Tactical Truck Systems (FTTS) program was initiated to make an analysis of potential requirements for a Humvee replacement. Various prototype vehicles such as the MillenWorks Light Utility Vehicle, and the ULTRA AP have been constructed as part of these efforts. The U.S. Marine Corps issued a request for proposals (RFP) in 2013 for its Humvee sustainment modification initiative to upgrade 6,700 expanded capacity vehicles (ECVs). The Marines plan to field the Joint Light Tactical Vehicle, but do not have enough funding to completely replace all Humvees, so they decided to continue sustaining their fleet. Key areas of improvement include the suspension, engine, and transmission. Upgrades to the suspension would reduce the amount of force transferred to the chassis, lowering operation and maintenance costs. Additionally, upgrades to the engine and transmission would help to make the vehicles more fuel efficient, and enhancements to the cooling system will better prevent overheating. The Marine Corps is also looking at incorporating a central tire inflation system to allow for reduced tire pressures during off-road use to improve mobility and ride quality. They are also seeking to increase the underbody survivability. Testing of upgraded Humvees will occur in 2014, with production and installation occurring from 2015 through 2018. Older A2 series Humvees make up half the current fleet, and 4,000 are to be disposed of through foreign military sales and transfers. By 2017, the Marines' light tactical vehicle fleet is to consist of 3,500 A2 series Humvees, 9,500 ECV Humvees, and 5,500 JLTVs, with 18,500 vehicles in total. Humvees in service with the Marine Corps will be upgraded through 2030. The U.S. Army and Marine Corps have vowed commitment to buying nearly 55,000 JLTVs even in the face of sequestration cuts. This level of support is given while major acquisition programs like the Ground Combat Vehicle were in danger of cuts (and eventually cancelled), which potentially meant the Army favored replacing Humvees more than the M2 Bradley. How many light vehicles that will need to be reduced are still being determined, but they are hoped to direct the effects to the existing Humvee fleet. Several companies are offering modifications to maintain the remaining U.S. military Humvee fleets. Oshkosh Corporation is offering Humvee upgrades to the Marine Corps in addition to its JLTV offering, which are modular and scalable solutions providing varying levels of capabilities at a range of price points that can be provided individually or as complete solutions. Their approach is centered around the TAK-4 independent suspension system, which delivers greater off-road profile capability, improved ride quality, an increase in maximum speed, greater whole-vehicle durability, and restored payload capacity and ground clearance. They also can deliver a modern engine option that’s more powerful than the Humvee’s stock engine and provides increased fuel efficiency. In October 2014, Northrop Grumman unveiled a new chassis and power train for the Humvee that would combine the mobility and payload capabilities of original vehicle variants while maintaining the protection levels of up-armored versions. The new chassis increases fuel efficiency to 18 miles per gallon and allows the vehicle to accelerate to 66 mph (106 km/h) in 22 seconds; the upgrade also includes a new dashboard, suspension, hydraulics, and central tire inflation systems. The company has installed the new chassis on four Humvees through a cooperative agreement with the Army, two of which have been delivered for trials. The cost to upgrade one Humvee with Northrop Grumman's features is $145,000. Textron has offered another Humvee upgrade option called the Survivable Combat Tactical Vehicle (SCTV) that not only restores mobility but improves survivability over armored Humvee levels. It was developed as a blast protected cab solution with a stronger frame and suspension with underbody armor and the ability to mount additional B-kit armor. It has a larger engine and transmission to power an increased gross vehicle weight of 18,500 lb (8,400 kg), greater ground clearance, larger brakes, wheels, and tires, and additional headroom from an improved internal layout. The battery pack was moved, as was the fuel tank, which is also enlarged and better armored. It is available in four-door, two-door, ambulance, nine-seat troop carrier, and other variants. Although the SCTV costs more at $200,000 per vehicle, the company claims it can restore the Humvee for operational use, combining Humvee-level mobility and transportability with MRAP-level underbody protection, as a transitionary solution until the JLTV is introduced in significant numbers; both the Army and Marines have acquired about half a dozen vehicles each for testing. One suggested future role for the Humvee is as an autonomous unmanned ground vehicle (UGV). If converted to a UGV, the vehicle could serve as a mobile scout vehicle with armor features removed to enhance mobility and terrain accessibility, since there would be no occupants needed to protect. Because there will still be tens of thousands of Humvees in the U.S. inventory after the JLTV enters service, it could be a low-cost way to build an unmanned combat vehicle fleet. Autonomy features would allow the Humvees to drive themselves and one soldier to control a "swarm" of several vehicles. A U.S. Air Force airman in Southwest Asia stands in the ringmount of a FRAG 6-reinforced HMMWV in April 2010. 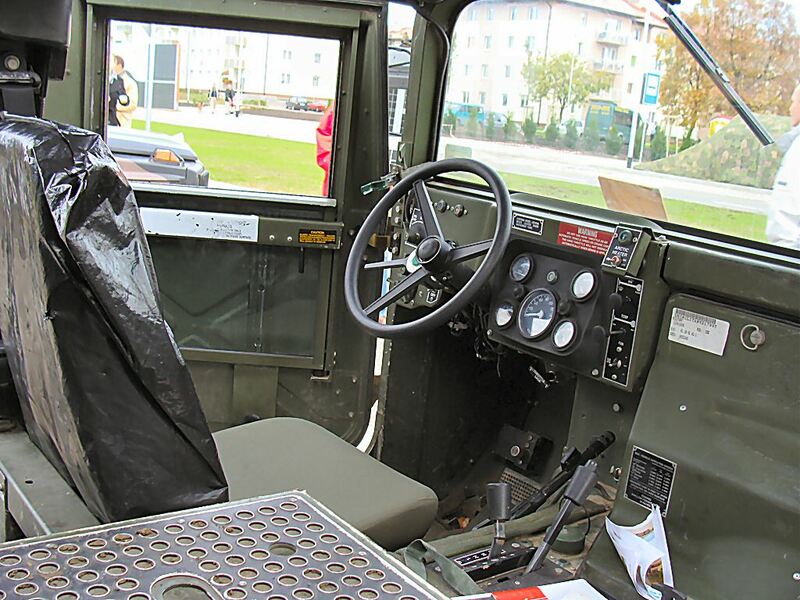 The Humvee seats 4 with an available fully enclosed metal cabin with a vertical windshield. The body is constructed from lightweight and rust-resistant aluminum, instead of conventional steel. It has all-wheel drive with an independent suspensions and helical gear-reduction hubs similar to portal axles which attach towards the top rather than center of each wheel to allowed the drivetrain shafts to be raised for a full 16 in (410 mm) of ground clearance. The body is mounted on a narrow steel frame with boxed rails and five cross members for rigidity. The rails act as sliders to protect the drivetrain which is nestled between and above the rails. Raising the drivetrain into the cabin area and lowering the seats into the frame creates a massive chest-high transmission hump which separates passengers on each side and lowers the overall center of gravity compared to most trucks where the body and passengers are above the frame. The vehicle also has disc brakes on all 4 wheels, and 4-wheel double-wishbone suspension. The brake discs are not mounted at the wheels as on conventional automobiles, but are inboard, attached to the outside of each differential. The front and rear differentials are Torsen type, and the center differential is a regular, lockable type. Torque-biasing differentials allows forward movement as long as at least one wheel has traction. It runs on specialized 37 x 12.5 radial tires with low-profile runflat devices. Some HMMWVs are equipped with an optional central tire inflation system (CTIS), which enables pressure to be lowered for soft ground or raised for hard pavement. While it is optimized for off-road mobility, it can drive at highway speeds of 55 mph (89 km/h) at maximum weight with a top speed of 70 mph (110 km/h). HMMWVs are well suited for air mobile operations as they are transportable by C-130 or larger combat transports, droppable by parachute, and can be sling-loaded from helicopters, though there are smaller vehicles such as the Growler which were designed to fit into smaller craft such as the V-22. In combat conditions, the HMMWV can be delivered by the Low Altitude Parachute Extraction System which pulls the vehicle out of the open rear ramp just above the ground without the aircraft having to land. There are at least 17 variants of the HMMWV in service with the United States Armed Forces. HMMWVs serve as cargo/troop carriers, automatic weapons platforms, ambulances (four litter patients or eight ambulatory patients), M220 TOW missile carriers, M119 howitzer prime movers, M1097 Avenger Pedestal Mounted Stinger platforms, MRQ-12 direct air support vehicles, S250 shelter carriers, and other roles. The HMMWV is capable of fording 2.5 ft (76 cm) normally, or 5 ft (1.5 m) with the deep-water fording kits installed. 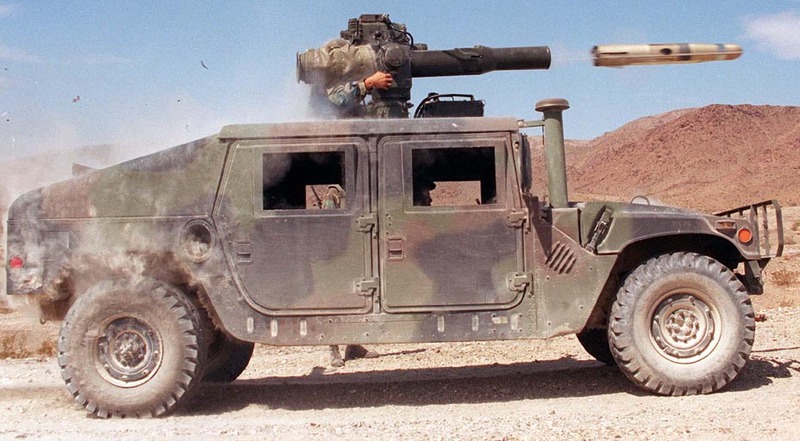 A BGM-71 TOW missile being fired from a U.S. Army HMMWV. Optional equipment includes a winch (maximum load capacity 6,000 lb (2,700 kg) and supplemental armor. The M1025/M1026 and M1043/M1044 armament carriers provide mounting and firing capabilities for the M134 Minigun, the Mk 19 grenade launcher, the M2 heavy machine gun, the M240G/B machine gun and M249 LMG. The M1114 "up-armored" HMMWV, introduced in 2004, also features a similar weapons mount. In addition, some M1114 and M1116 up-armored and M1117 Armored Security Vehicle models feature a Common Remotely Operated Weapon Station (CROWS), which allows the gunner to operate from inside the vehicle, and/or the Boomerang anti-sniper detection system. Recent improvements have also led to the development of the M1151 model, which is quickly rendering the previous models obsolete. By replacing the M1114, M1116, and earlier armored HMMWV types with a single model, the U.S. Army hopes to lower maintenance costs. The latest iteration of the Humvee series can be seen in the M1151A1 and later up-armored A1-versions. It has a stronger suspension and larger 6.5 liter turbo-diesel engine to accommodate the weight of up to 680 kg (1,500 lb) of additional armor. The armor protection can be installed or taken off depending on the operating environment, so the vehicles can move more efficiently without armor when there is no threat of attack. There is some underbody armor that moderately protects against mines and roadside bombs. Other improvements include Vehicle Emergency Escape (VEE) windows that can be quickly removed so troops inside can escape in the event of a rollover, jammed door, or the vehicle catching fire, and a blast chimney that vents the force of a bomb blast upwards and away from the occupants. The M1151A1 has a crew of four, can carry 2,000 lb (910 kg) of payload, and can tow a 4,000 lb (1,800 kg) load. On roads, it has a top speed of 80 km/h (50 mph) and a range of 480 km (300 mi). The M1113 has been selected by the U.S. Army as its A2 chassis for HMMWV purchases. Currently, the ECV is used for special operations vehicles and communications shelter carriers. During 1995, production of the M1114 based on the improved ECV chassis began. The M1114 meets Army requirements for a scout, military police, and explosive ordnance disposal vehicle with improved ballistic protection levels. The M1114 provides protection against 7.62 mm armor-piercing projectiles, 155 mm artillery air bursts and 12 lb (5.4 kg) anti-tank mine blasts. The U.S. Air Force has a number of these vehicles under the designation M1116, specifically designed to meet the requirements of the Air Force. The M1116 features an expanded cargo area, armored housing for the turret gunner, and increased interior heating and air conditioning system. The M1114 and M1116 receive armor at O'Gara-Hess & Eisenhardt Armoring Company of Fairfield, Ohio. The M1145 offers the protection of the M1114 and M1116 for Air Force Air Support Operations Squadrons (ASOS). Modifications include perimeter ballistic protection, overhead burst protection, IED protection, mine blast protection, and 'white glass' transparent armor. These extended capacity HMMWVs can drive over an 18 in (460 mm) vertical wall and carry a 6,820 lb (3,090 kg) payload. Packhorse – Attachment to convert an M1097 to tractor version for semi-trailers. An M1113 Humvee chassis-mounted XM1124 Hybrid-Electric diesel-series hybrid-powered HMMWV on display in September 2009. Composite HMMWV – A prototype developed by TPI Composites of Rhode Island and AM General. The purpose of the concept vehicle is to reduce the vehicle's weight so that it may more easily carry an up armor kit. TPI's all-composite HMMWV saves approximately 900 pounds (410 kg) when compared to a current steel and aluminum HMMWV. A prototype XM1124 Hybrid-Electric Humvee on an M1113 Humvee chassis powered by a diesel-series hybrid featuring an all-electric drive train has been developed by RDECOM/TARDEC. The vehicle has a 6 mi (9.7 km) full-electric range for silent operations. An Eastwind EQ2050 on display at the People's Revolution Military Museum of China in August 2007, during the 'Our Troops towards the Sky' exhibition. Greek Army M1114GR HMMWV in April 2007. This particular HMMWV has the ability to mount a 9M133 Kornet on top. Bulgaria – Bulgarian HMMWVs have been fitted with PKS general purpose machine guns. Bulgaria usually replaces Western machine guns on its vehicles to simplify maintenance, since the country is an active producer of Russian weapons. EQ2050/SQF2040 – Chinese versions of the HMMWV. There are at least two Chinese automobile manufacturers building HMMWV copies. Both HMMWV copies rely heavily on imported U.S.-made parts, including the chassis, gear box, and diesel engine. Both manufacturers claimed that they will be able to gradually increase the percentage of indigenous-made content on the vehicles in the future, since the PLA is unlikely to accept any equipment that relies largely on foreign made parts. Egypt – AOI equips HMMWVs with anti-armor weaponry, including: TOW, Milan, or HOT missiles. Georgia – Georgian HMMWVs have been fitted with PK general purpose machine guns. Greece – Greek HMMWVs, built entirely by ELBO in Greece, are equipped to fire the Russian 9M133 Kornet ATGM. They have storage room for 10 missiles. Another version, the M1115GR, is equipped with the HK GMG 40. Israel's Plasan has developed armored versions of the HMMWV, assembled by ELBO in Greece as the M1114GR, M1115GR and M1118GR. 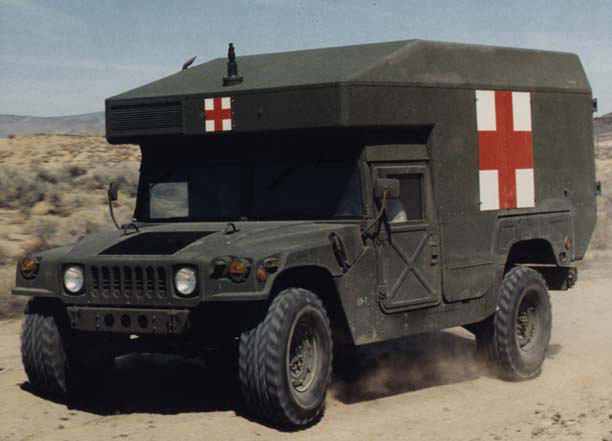 ELBO also produced the Ambulance version, a SOF version, and an engineering version of the HMMWV for the Hellenic Army. Israel – Plasan has also designed and supplied an HMMWV armored protection kit for the Portuguese Army, and a different version assembled by Automotive Industries in Nazareth for the Israel Defense Forces. Mexico – The Dirección General de Industria Militar (DGIM), the Mexican Army's prime wholly owned military manufacturer, builds the HMMWV under license in Mexico after a small amount of American-built Humvees proved to be reliable within the Mexican army. Mexican HMMWVs are similar to the American built models but are slightly longer. They feature a standard selective shift automatic transmission connected to a Mercedes Benz diesel engine and an anti-spalling layer in the passenger cabin. Many are equipped with bulletproof windows and a layer of armor unique to these Mexican HMMWVs. In 2010, Mexico displayed a wagon variant with a second gun hatch to cover the rear of the vehicle. This version also featured a more powerful V-12 engine and civilian road wheels to increase top speed capabilities in urban areas. Poland – Polish Land Forces operate 222 HMMWVs (5 unknown variants are operated by special forces). Over 200 are used by the 18th Airborne Battalion which is a part of the 6th Air Assault Brigade. The used variants are designated as follows: Tumak-2 – M1043A2, Tumak-3 – M1025A2, Tumak-4 – M1097A2, Tumak-5 – M1045A2, Tumak-6 – M1097A2 (variant used for transport of special containers), Tumak-7 – M1035A2. All vehicles are modified to meet Polish road regulations and are equipped with Polish communication devices. 140 HMMWVs are equipped with Fonet digital internal communication device. 120 Tumak-2s and Tumak-3s have a rotatable mount which can be fitted with either the UKM-2000P 7.62 mm general purpose machine gun or the NSW-B 12.7 mm heavy machine gun. Tumak-5s are used by anti-tank subunits and are armed with a dismountable Spike missile. Additionally Polish forces of ISAF operate 120 HMMWVs on loan from the U.S. forces. Switzerland – Early MOWAG Eagle light armored vehicles utilized the HMMWV chassis, although the latest uses a Duro III chassis. The Eagle is an NBC-tight, air conditioned and armor protected vehicle. It is in service and available in several configurations with varying levels of armor protection. The Eagle can be fitted with a wide assortment of armaments. Turkey – Otokar Cobra – is a wheeled armoured vehicle developed by Turkish firm Otokar which uses some mechanical components, sub-systems and some parts of the HMMWV. In October 2009, U.S. Marine Corps HMMWVs in the Philippines deliver family food packs to communities affected by Tropical Storm Ketsana. A HMMWV firing an AGM-114 Hellfire missile. In August 2008, a Ukrainian М1097А2 HMMWV parades through the streets of downtown Kiev, during Ukrainian Independence Day festivities. Iraqi Army HMMWVs on display at Camp Echo, Iraq, in December 2008. In Cambridge Bay, Canada, in May 2009, the Mars Institute's Moon-1 HMMWV Rover waits for a C-130 Hercules from the 109th Airlift Squadron to airlift it to Resolute Bay Airport. In December 1993, during UNOSOM II, a Saudi Arabian HMMWV departs for the seaport of Mogadishu, Somalia. This particular HMMWV has an M2HB-QCB machine gun mounted on top. Afghanistan – 4,150 M1152 and M1151 versions used by the Afghan National Army. Afghanistan has ordered 3,334 more in 2010 and 2011 for its the National Police, National Guard and other military. 950 M1114 vehicles delivered to the army by November 2012. Bahrain – Vehicles sold by the U.S. under the Foreign Military Sales program. Bosnia and Herzegovina – ordered a small number of vehicles for de-mining units in Iraq. Bolivia – approx. 50 vehicles with the "Green Devils" anti-narcotic unit and Rangers. Bulgaria – 52 vehicles, 50 are the up-armored M1114 variant, and two are ambulances. Canada Canadian Forces – small numbers (M1113 and M1117) in use by JTF-2 and CSOR in Afghanistan; to be replaced by Jackal (MWMIK). Chad – Vehicles sold by the U.S. under the Foreign Military Sales program. Croatia – 85 units, mostly used in Afghanistan ISAF mission. Czech Republic – Mainly 601st Special Forces Group. Djibouti – Vehicles sold by the U.S. under the Foreign Military Sales program. Ecuador – approx. 130 vehicles in the Ecuadorian Army. Ethiopia – Vehicles sold by the U.S. under the Foreign Military Sales program. Greece – 600+ vehicles built under license by ELBO. Honduras – Vehicles sold by the U.S. under the Foreign Military Sales program. 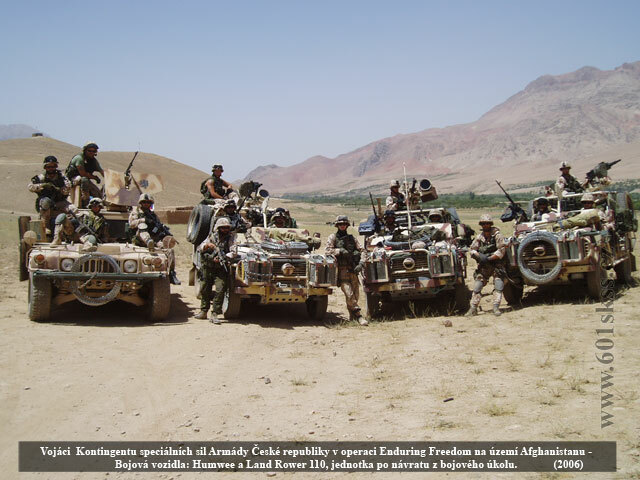 Hungary – 27 vehicles for units in Afghanistan. Iraq – During the Iraq War, stockpiled U.S. military HMMWVs were given to the Iraqi Army, Iraqi Security Forces. The Iraqi Military has more than 10,000+ Humvees. Some of these have been captured by the Islamic State in Iraq and the Levant in the 2014 uprising. Israel – 2,000+ vehicles, formerly assembled by AIL from knockdown kits. Kuwait – Vehicles sold by the U.S. under the Foreign Military Sales program. Kenya – A number of vehicles are used by the security forces. Libya – 200 donated by the U.S. Army in July 2013. Lithuania – about 200 vehicles bought from the USA. Mexico – Vehicles sold by the U.S. under the Foreign Military Sales program. 3,000 vehicles in service. New Zealand – Small number of M1114s used in Afghanistan and trialled at Lake Tekapo training ground. Pakistan - is planning to acquire 20,000 Chinese Humvees and to be produced locally. Oman – Vehicles sold by the U.S. under the Foreign Military Sales program. Peru – 34 vehicles (12 M-1151A1 deployed in Haiti as part of the UN peacekeeping contingent, 22 M-1165A1 Special Ops operated by the 19th Commando Battalion). Possible upcoming purchase of 100 additional vehicles. Russia – Eight Georgian HMMWVs were seized by Russian forces during the 2008 South Ossetia War. Saudi Arabia – Vehicles were sold to Saudi Arabia by the United States under the Foreign Military Sales program. Slovakia – Mainly 5th Special Forces Regiment. Spain – 150+ vehicles only by the Infanteria de Marina (the Army uses the URO VAMTAC in that role). Sudan – Vehicles sold by the U.S. under the Foreign Military Sales program. Tanzania – Vehicles sold by the U.S. under the Foreign Military Sales program. Tunisia – Vehicles sold by the U.S. under the Foreign Military Sales program. Ukraine – ~50 vehicles (since 2001) at the 95th Airmobile Brigade, 10 vehicles were donated to the Polish–Ukrainian Peace Force Battalion (POLUKRBAT). Islamic State of Iraq and the Levant – The Islamic State captured Humvees given to the Iraqi Army by the United States. Kits have been produced for the general market to turn a sedan into a Humvee lookalike. An alternative is to buy a preconstructed (or "turnkey") wombat. Various kits exist, but one of the most famous names is the Volkswagen Beetle-based "Wombat" (previously called a HummBug, until the threat of a lawsuit from General Motors forced them to change both the name and the design of the grill to make it look less like the real thing ). It can be purchased/built for about US$18,000; this puts it considerably cheaper than the actual HMMWV ($56,000), or Hummer. In Australia, a Gold Coast-based company called Rhino Buggies produces replicas of the Hummer H1 based on the Nissan Patrol 4WD vehicle for around A$30,000. Hummer H1, H2, and H3. The H1 is a civilian derivative of the HMMWV, while the H2 and H3 are based on regular GM truck chassis and styled after it. AMZ Tur Polish military vehicle. In middle future AMZ Turs can replace all of Polish Tumaks. GAZ-2975 "Tigr" – Russian military vehicle, currently in service. Koukidousha ("High-mobility Car") the military version of the Toyota Mega Cruiser. The Koukidousya is in service with the Japan Self Defense Forces. LSV (Light Specialist Vehicle) is a new vehicle built by Tata Motors and is undergoing trials for the Indian Army. Mahindra Axe is a vehicle planned to be manufactured by Mahindra in India. URO VAMTAC (Vehículo de Alta Movilidad Táctico) is a Spanish four-wheel drive military vehicle manufactured by UROVESA. List of "M" series military vehicles. Dongfeng Motor Corporation EQ2050, a Chinese derivative. Lamborghini Cheetah, an Italian contender for the original HMMWV contract. URO VAMTAC, a Spanish derivative. Otokar Cobra, a light armoured vehicle utilizing HMMWV parts. Sandstorm, an HMMWV modified into an autonomous vehicle. ↑ "Humvee Symbolizes Coast Guard's Role in War". Military.com. http://www.military.com/daily-news/2013/08/15/humvee-symbolizes-coast-guards-role-in-war.html?comp=7000023468292&rank=3. Retrieved 2013-11-16. ↑ "The High Cost of Humvees | FRPT Message Board Posts". investorvillage.com. http://www1.investorvillage.com/smbd.asp?mb=132&mn=7833&pt=msg&mid=811248. Retrieved 2010-11-27. ↑ 3.0 3.1 HMMWV Features & Design. AM General. ↑ 4.0 4.1 4.2 4.3 HMMWV Fact File. U.S. Army. ↑ "HMMWV vs. HUMMER H1 | HUMMER H1 & H2 | AM General LLC - Mobility solutions for the 21st Century". Amgeneral.com. http://www.amgeneral.com/vehicles/hummer/compare.php. Retrieved 2013-11-16. ↑ "NBC: Boost for armored Humvee output – Conflict in Iraq". MSNBC. 2004-12-10. http://www.msnbc.msn.com/id/6694474/. Retrieved 2013-11-16. ↑ "Up-Armored Humvee M1114". Defense-update.com. 2006-07-26. http://www.defense-update.com/products/h/humvee-ogara.htm. Retrieved 2010-11-27. ↑ "Up-Armored HUVMEE (UAH)". Defense-update.com. http://www.defense-update.com/features/du-3-04/up-armored-humvee.htm. Retrieved 2010-11-27. ↑ 02-Aug-2006 06:43 EDT (2006-08-02). "$595.8M Contract for M1151 Hummers & Up-Armor Price Limits". Defense Industry Daily. http://www.defenseindustrydaily.com/5958m-contract-for-m1151-hummers-uparmor-price-limits-02488/. Retrieved 2010-11-27. ↑ "Armor Survivability Kit (ASK) for soft vehicles". Defense-update.com. 2006-07-26. http://www.defense-update.com/products/a/ask.htm. Retrieved 2010-11-27. ↑ "HMMWV Armor Kit – Battelle". Defense-update.com. 2005-10-25. http://www.defense-update.com/products/h/humvee-kit-battelle.htm. Retrieved 2010-11-27. ↑ John Pike (2009-08-27). "Marine Armor Kit [MAK ]". Globalsecurity.org. http://www.globalsecurity.org/military/systems/ground/mak.htm. Retrieved 2010-11-27. ↑ "Thousands of Army Humvees Lack Armor Upgrade". The Washington Post. 2007-02-12. http://www.washingtonpost.com/wp-dyn/content/article/2007/02/11/AR2007021101345.html. Retrieved 2010-05-04. ↑ "Humvee May Get Armor, Performance Boost". Military.com. http://www.military.com/NewsContent/0,13319,146187,00.html?wh=wh. Retrieved 2010-11-27. ↑ 19-Jan-2007 07:49 EST (2007-01-19). "Field Life-saver: 10th Mountain Division Invents "The Rat Claw"". Defense Industry Daily. http://www.defenseindustrydaily.com/field-lifesaver-10th-mountain-division-invents-the-rat-claw-02969/. Retrieved 2010-11-27. ↑ "Humvee Doors Trap Troops". Military.com. http://www.military.com/NewsContent/0,13319,135017,00.html. Retrieved 2010-11-27. ↑ 05-Oct-2010 11:09 EDT (2010-10-05). "BAE Invents VEE Quick-Escape Bulletproof Windows". Defense Industry Daily. http://www.defenseindustrydaily.com/bae-invents-vee-quick-escape-bulletproof-windows-03711/. Retrieved 2010-11-27. ↑ 27-Mar-2007 10:38 EDT (2007-03-27). "Now That's a Gunshield: The Chavis Turret". Defense Industry Daily. http://www.defenseindustrydaily.com/now-thats-a-gunshield-the-chavis-turret-03171/. Retrieved 2010-11-27. ↑ "Marine Corps Announces Mine Resistant Ambush Protected Vehicle Contracts". Archived from the original on 2007-12-29. http://web.archive.org/web/20071229040452/http://www.marcorsyscom.usmc.mil/sites/story/fullstory.asp. ↑ "Dingo – All Protected Vehicle (APV)". http://www.defense-update.com/products/d/dingo-kmw.htm. Retrieved 2008-08-05. ↑ "M1114 Enhanced Capability HMMWV". Tech.military.com. http://tech.military.com/equipment/view/141997/m1114-enhanced-capability-hmmwv.html. Retrieved 2012-05-06. ↑ "Picatinny successfully designs mortar system for HMMWV". Press Room. Picatinny Arsenal. http://www.pica.army.mil/picatinnypublic/news/archive/08-09-04.asp. Retrieved 24 April 2014. ↑ VoIP and Call Center News Editor (2007-07-20). "TPI Composites and Armor Holdings Unveil Army's First All-Composite Military Vehicle". Tmcnet.com. http://www.tmcnet.com/usubmit/2007/07/20/2800594.htm. Retrieved 2010-11-27. ↑ "TPI Composites engineers, fabricates and builds large scale composite structures and composite components for the wind energy, military, and transportation markets". Tpicomposites.com. http://www.tpicomposites.com/?id=21&uudis=6. Retrieved 2010-11-27. ↑ "Defense Update Newscast – 200707". Defense-update.com. http://www.defense-update.com/newscast/0707/news_200707.htm#hmmwv. Retrieved 2010-11-27. ↑ "The DOD Energy Blog: Army Working on Hybrid Humvees". Dodenergy.blogspot.com. 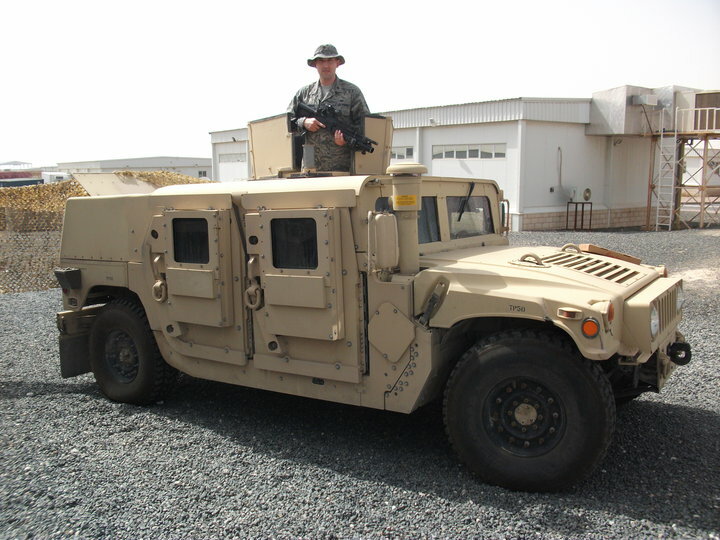 2008-09-08. http://dodenergy.blogspot.com/2008/09/hybrid-humvee.html. Retrieved 2010-11-27. ↑ "ASDNews – Aerospace & Defence News – Plasan Sasa Completes Delivery of Unique HMMWV Armor Suites to Portuguese Army". Asd-network.com. 11 April 2006. http://www.asd-network.com/press_detail_B.asp?ID=7534. Retrieved 2011-04-25. ↑ 54.0 54.1 Hechostv. "Crean rifle automático para festejar el Bicentenario". YouTube. http://www.youtube.com/watch?v=m6JP1w0tEOM. Retrieved 2012-05-06. ↑ "Samochód terenowy HMMWV". Militarium. 2008-01-21. http://www.militarium.net/viewart.php?aid=99. Retrieved 2010-11-27. ↑ "Afghan Forces Getting HMMWVs". 26 July 2011. http://www.defenseindustrydaily.com/Afghan-Forces-Getting-HMMWVs-06519/. Retrieved 29 July 2011. ↑ 61.00 61.01 61.02 61.03 61.04 61.05 61.06 61.07 61.08 61.09 61.10 61.11 61.12 61.13 61.14 61.15 61.16 61.17 61.18 61.19 61.20 61.21 ﻿2011 Army Weapon Systems Handbook﻿ (Report). Office of the Assistant Secretary of the Army for Acquisition, Logistics and Technology. 2011. p. 137. http://www.fas.org/man/dod-101/sys/land/wsh2011/136.pdf. Retrieved 27 December 2011. ↑ "Купуваме 50 Хамъра за Сухопътни войски (in Bulgarian)". Dnevnik.bg. 14 November 2005. http://www.dnevnik.bg/show/?storyid=99782. Retrieved 2010-11-27. ↑ "Background – Special Forces Vehicles – CANSOFCOM SOV Update". Canadian American Strategic Review. http://www.casr.ca/bg-army-special-forces-sov-update.htm. Retrieved 2010-04-19. ↑ "Iraq crisis: UN 'deplores' militants' capture of cities". 12 June 2014. http://www.bbc.com/news/world-middle-east-27806094. Retrieved 3 July 2014. ↑ "Isis declares caliphate in Iraq and Syria". 30 June 2014. http://www.theguardian.com/world/middle-east-live/2014/jun/30/isis-declares-caliphate-in-iraq-and-syria-live-updates. Retrieved 3 July 2014. ↑ "Iraq crisis: Isis jihadists 'seize Saddam Hussein's chemical weapons stockpile' – live". 19 June 2014. http://www.telegraph.co.uk/news/worldnews/middleeast/iraq/10910868/Iraq-crisis-Obama-may-launch-air-strikes-without-Congress-amid-calls-for-Maliki-to-go-live.html. Retrieved 3 July 2014. ↑ "ISIS Attack and capture US Humvees". 17 June 2014. https://www.youtube.com/watch?v=t_CLKmLWgko. Retrieved 3 July 2014. ↑ "Kazakhstan's News Bulletin". Prosites-kazakhembus.homestead.com. April 11, 2007. http://prosites-kazakhembus.homestead.com/041107.html. Retrieved 2010-11-27. ↑ Partner, page 21. 2008. ↑ "New Zealand Army Website". Army.mil.nz. http://www.army.mil.nz. Retrieved 2012-05-06. ↑ "Beta press – Beta News". Beta.rs. 2013-05-28. http://www.beta.rs/default.asp?lan=en&tip=article&kategorija=dailynews&ida=2891808&id=&ime=. Retrieved 2013-11-16. ↑ "HMMWV". http://www.militaryfactory.com/armor/detail.asp?armor_id=9. Retrieved 4 June 2014. ↑ Posted by speedsterforsale (2009-06-28). "VW "Hummbug" For Sale". Vwforsale.wordpress.com. http://vwforsale.wordpress.com/. Retrieved 2012-05-06. ↑ "The Wombat-a hummdinger of a sport utility vehicle!". Kitcar.com. 1990-01-06. http://www.kitcar.com/wombat/home.html. Retrieved 2012-05-06. ↑ אמיר בוחבוט (22 March 2007). "חדשותה"חיה הרעה" של היחידות המיוחדות". Nrg.co.il. http://www.nrg.co.il/online/1/ART1/559/721.html. Retrieved 2010-11-27. Wikimedia Commons has media related to Humvees. The Oldest Humvee in the World. Pre-production HMMWV M998 VIN 00046 !